The idea of Transition Streets, the award-winning behaviour change model which began in Totnes, Devon, has idea spread fast. There is now a US version created by Transition US which is now being used in 12 communities. Transition Belgium created a French-language version. It is also emerging in Italy, France and Sweden, as well as in individual communities elsewhere. The story of its emergence in Australia offers a useful insight into how Transition spreads and grows. Melbourne and Newcastle are 1000km apart, but have both played an active role in the emergence of Transition Streets. Transition Newcastle (New South Wales) heard about Transition Streets and decided to create their own version, initially calling it ‘Transition Streets Challenge’ but later dropped the ‘Challenge’ part because feedback indicated some people felt it suggested competition. Their version of Transition Streets was piloted on 5 streets and was very well received. Initially Transition Newcastle received some funding support from their local Council for design and printing, and a local water authority also helped out. Meanwhile, 1000km away in Melbourne (Victoria), a resident of Kingston (a suburb of the city) saw a screening of the film In Transition 2.0, which included mention of Transition Streets. Feeling part of a community which is trying to become more sustainable. The Transition Streets group from The Terrace. Photo: Karen Whitelaw. Transition Newcastle was highly commended (a runner up) for Transition Streets at the 2013 NSW Sustainable City awards. They have found that some of the impacts were not those anticipated. In one street, the relationship between local residents and a student house on the street hadn’t been the easiest, the students keeping different hours and having different ideas of acceptable noise levels. Transition Streets brought them together, and one of the things that emerged was that many residents felt vulnerable walking home at night, given that the area had high rates of mugging and street crime. The students were able to play a more active role in keeping an eye out for people, who were then able to feel safer. As one participant wrote, “an overall sense of safety was created… in one instance the students ran out of the house to protect a neighbour who was about to be assaulted”. It’s the kind of unexpected spinoff that can arise from the simple act of getting neighbours to sit down and meet each other which Transition does so well. Spinoffs that go way beyond carbon. They have now run it in another 6 streets and are preparing to expand it. “And you realise how everybody’s trying to do their best with what they’re doing. And then you find that someone’s doing this and that and, ‘Oh I haven’t thought of doing that. I should try that’”. 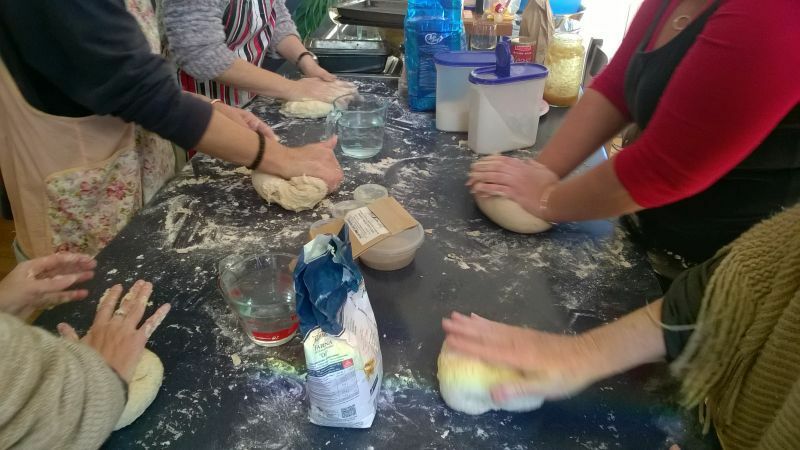 Learning how to make bread as part of a Transition Streets group. Photo: Graeme Stuart. In Banyule, the group emailed their list and 60 people attended an event to learn more, and of them, 58 signed up to take part. Many of those people then went door knocking on their streets to try and gather interest. In the end, they decided that the best approach would be to bring people together not as streets but as neighbourhoods. 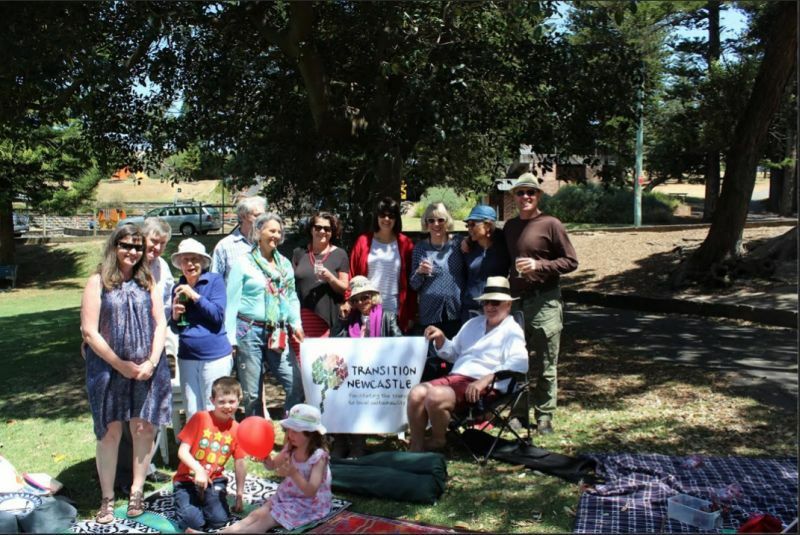 As Graeme Stuart of Transition Newcastle put it, “Transition Streets has had an impact not only on people who are just learning about sustainability, but also on people who have been involved for years. Many of the streets are inspired to take collective action such as a bicycle-powered film night, a street garage sale, regular cooking afternoons and erecting scarecrows in a shopping strip to promote local food sources”. “It’s time. We cannot keep leaving our children to respond to the challenges of climate change. It’s time to stop worrying about short-term interests and to start focusing on long-term impacts. It’s time to show real leadership in the transition to a low carbon, more sustainable future”.